This is the TRA4684, 48 pitch 84 tooth spur gear from traxxas. The gear is molded from black plastic. 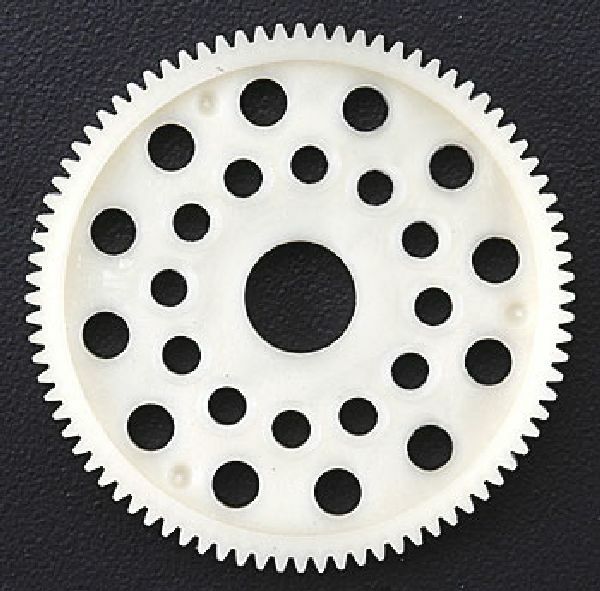 This spur gear is for use with Traxxas' slipper clutch. Includes: 1 84 tooth 48 pitch spur gear.